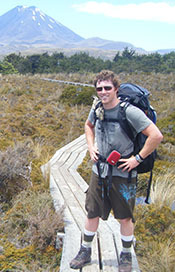 Jeff McMahan obtained a Bachelor’s degree in Landscape Architecture in 2010 from Purdue University. He has worked on federal, state, and local government projects as well as commercial and residential properties as a design team member. Jeff has studied English Garden design in the UK as well as Picturesque, Landscape, Arts and Crafts, Cottage Garden and Victorian methodology. He has worked abroad in New Zealand expanding his understanding of Landscape Architecture and Design and brings this diverse background of work and study to the Fitzgerald Landscaping team.